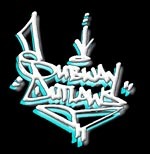 Early signatures on the left from SUPER STRUT, SHARK 77 and 7-UP. All are earlier writers from the single hit generation . 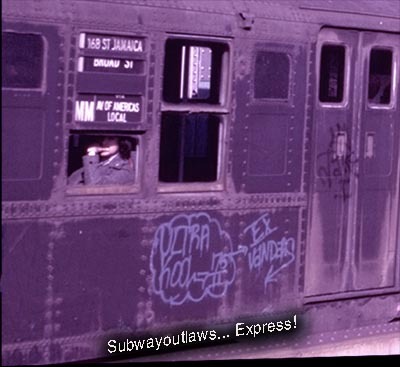 SUPER STRUT is a writer who bombed many subway lines in the early 1970's and would write the name TASS at the end his. Many writers believed the name TASS to be part of his own tag, but was his brother that did not write very much. 7-UP wrote mostly on the BMT's and IND's but not to be confused with the original 7-UP from the Broadway line two years earlier. A-TRAIN, PONCHO 76, AS 2 and AFX 2. All were very affective writers in there time but from different generations. 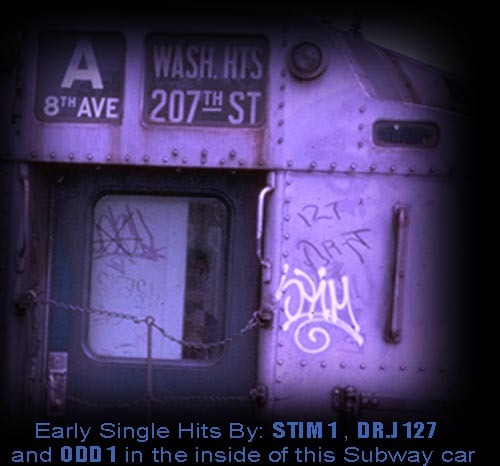 It seem like every year or two there was a different generation of writers ... A-TRAIN a writer from early generating who bombed the subways city wide in the early 1970's with the likes of SUPER STRUT , SHARK 77, SPIN etc. 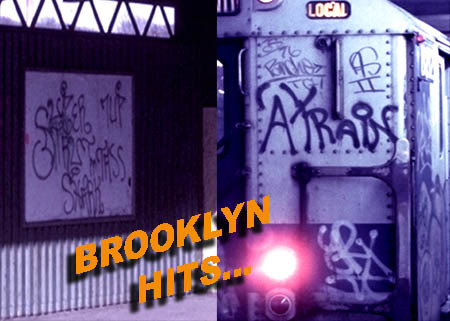 AFX 2 peak year as a subway bomber was in 1974 - 1976. 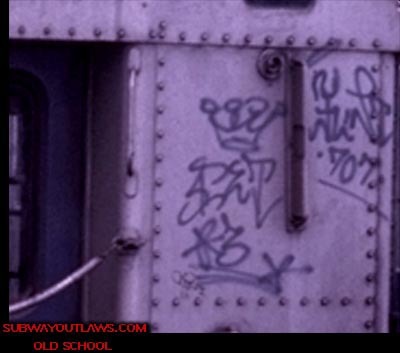 PONCHO 76 wrote with his partner DEN - 3YB on the BMT's in the mid 1970's and would later push the Bronx writing group "SALSA" on all the Brooklyn subway lines. 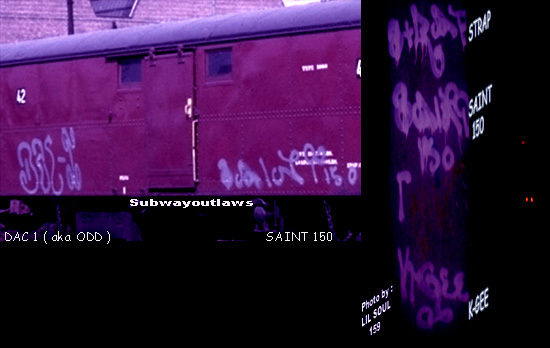 AS 2 was a very affective inside writer as well seen on most of the exteriors of the BMT's in 1978-1979. Brooklyn writer from the early 1970's. 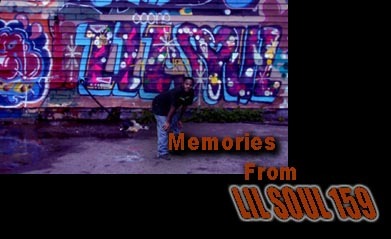 Member of one the greatest writing groups in history... 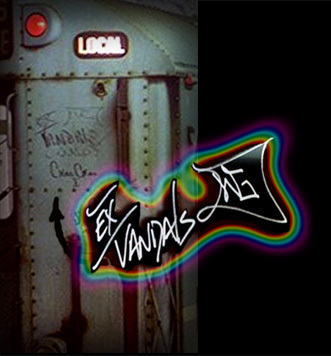 The EX / VANDALS. 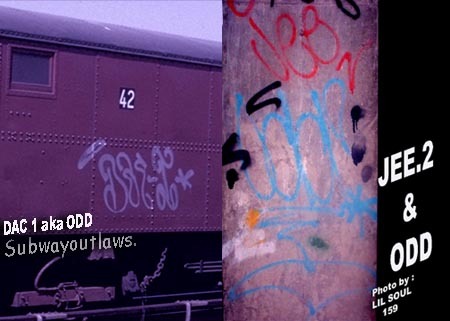 KOOL KITO : Not just any one could become a member of the Ex / vandals, You had to be one that got around . DINO nod put me in the group but I had to sacrifice not putting my name up, and just the name of the group. 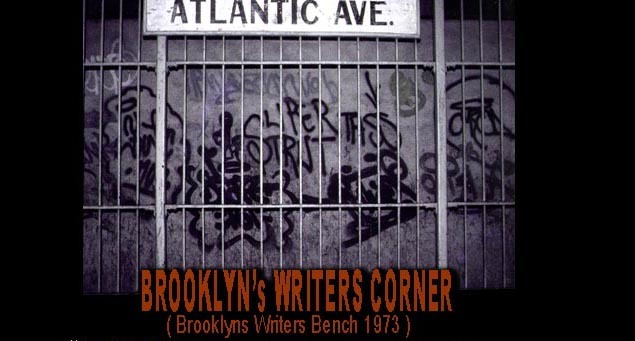 Brooklyn writer from the early 1970's and member of the Brooklyn group ... " DIAMOND INCORPORATED" a group which included CHINO 125, SPARK 747 and PBX 2. FARGO 1 : FLINT 707's hand style was my absolute favorite. his helicopter " F " was so original for its time. Many remember Flint's famous candy cane 3-D top to bottom as being one the greatest piece ever, But he was very big on the BMT's with allot of single hits on the out sides of the trains. to do was take the elevator downstairs because their high-rise building was built on top of Pitkin Yard. James TOP told me that at some point, ODD had gotten hold of a key. In the sub-basement of the building by the janitor's locker and boiler room, there was I guess an emergency door from the yard that led into the building. That was sweet! They didn't even have to climb over the wall from the street to get in and out of the yard! Cadd told me that he never met Mousey, and Bon and Blue were originally from Queens, so he met them later, but Cadd said that he and the rest of the guys from Linden Plaza and The Pink Houses ALL went to school together as young boys way before there was any such thing as graffiti...AWESOME! Cadd also went to school with and knew Tee and Nail 170 as young boys. Cadd was almost 2 years older than me (19 months), and Stim was at least a year younger than Tee and I (we were both born in 1959). Cadd said that he really didn't remember Stim when he was young because Stim would have been very a little boy, but he DEFINITELY knew him once we all started writing. Early single hits from MR.PEANUT, KILLER 1 ( Who was an All City subway killer ) MR.ED 131, BOMB 1, SUPER STUFF 1, TUROK 161 ( an early Manhattan writer . ), ACE 137 ( an All City writer ) TAN 144 and CO CO 144. Are some of the more notable writers in these photographs.